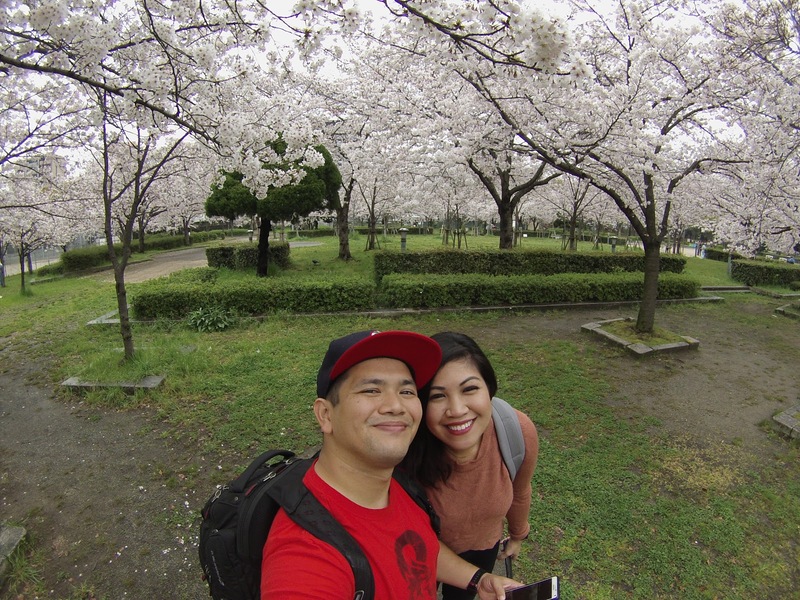 Visiting Japan during cherry blossom season was one of our vacation goals. 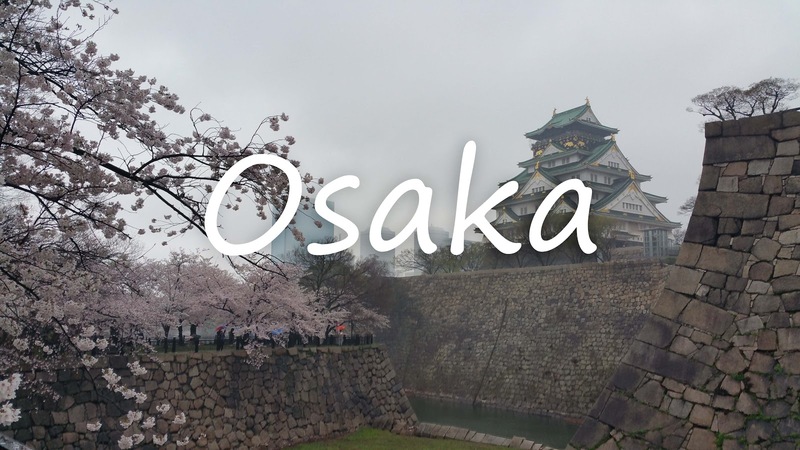 We have traveled to Tokyo and wanted to visit another part of Japan with Osaka at the top of the list. 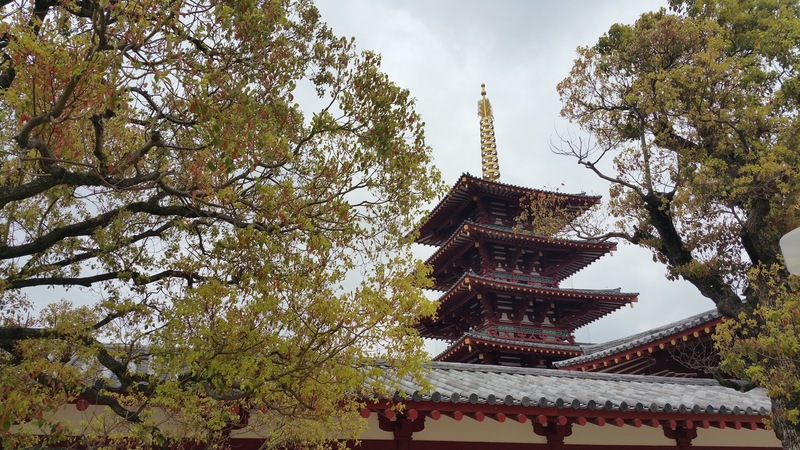 Osaka is also close to other cities we wanted to visit, Kyoto and Nara. 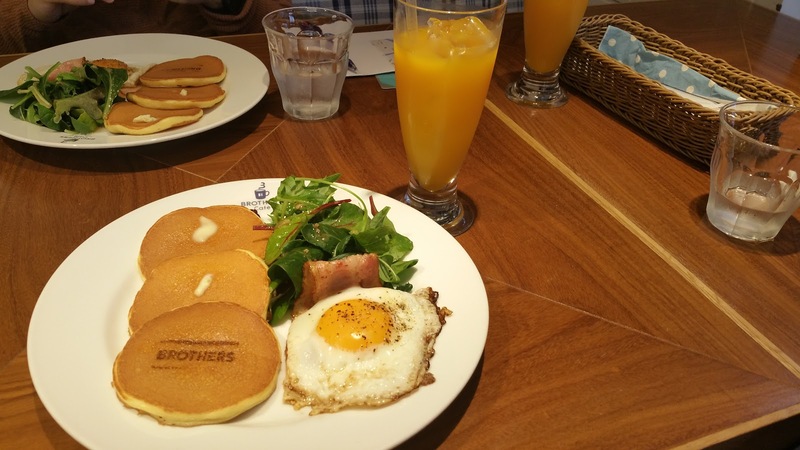 We stayed in Osaka for six days but we could have easily stayed another week. I purchased a SIM for my wife’s phone at the arrivals terminal of Kansai Airport. Look for a large sign that says SIM on it or ask the information desk. The SIM card was ¥5,000 for 2GB of data and unlimited local calls. It was a bit expensive but we needed a way to contact our AirBnb host in the event we needed something. Thankfully, our AirBnb booking came with a portable WiFi. We purchased two ICOCA and Haruka bundles from the JR office in the airport. The total cost was ¥8,400. The ICOCA cards come pre-loaded with ¥1500 with a ¥500 deposit. These are the tap and go cards for the subway and JR rail stations. The Haruka ticket was a round trip ticket to the city. You can stop at Tennoji station or Shin-Osaka station. If you have an ICOCA card, you can buy the Haruka pass into the city for ¥2,200. We only used the rail systems while in the city. We stayed in Ashihara at this AirBnB. I was a bit disappointed with the location since it was outside of the “blue circle” on the neighborhood section of AirBnB. We wanted to stay closer to the subway or closer to Namba station. We didn’t want to cancel, so we made it work. We definitely got our steps in. I did not take a lot of pictures because I was using my GoPro. A lot of video was shot using the GoPro and will be compiled into a video at a later date. 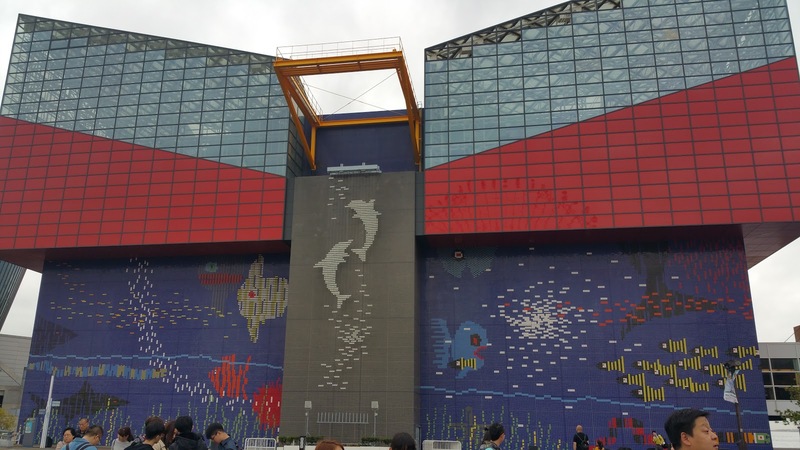 The Osaka aquarium was amazing. 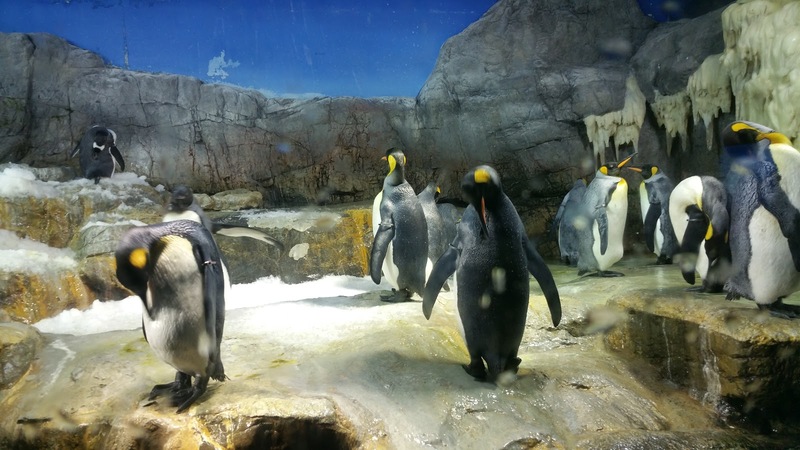 It houses many different animals ranging from dolphins, penguins, whale sharks, otters and other aquatic animals. The aquarium is laid out like a screw. An escalator takes you to the entrance, a few floors up and you walk down looking at exhibits. The outer walls have various exhibits from different parts of the world while the center exhibit houses the main tank. The main tank houses a few species of sharks including whale sharks, a few species of rays, and a few species of fish. This was the first time I’ve seen whale sharks in person and they were amazing to behold. Overall, this is one of the best aquariums I have visited. My wife suggested this park for our cherry blossom viewing. She read about it in a few blogs and heard about it from friends who have visited previously. The park was huge and we walked about 1.5 kilometers taking pictures and videos along the way. It was overcast but the trees looked beautiful. 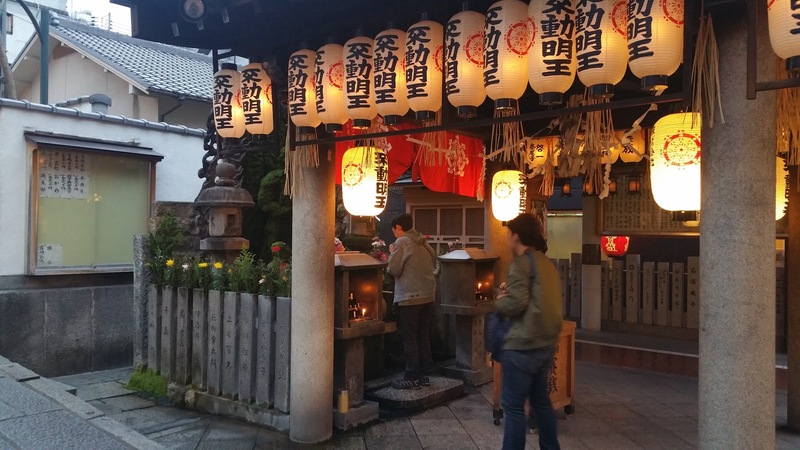 Osaka has a lot of shrines and temples. It seems like every few blocks we would see one. We observed a few rituals, especially the flinging of water on Buddhist statues. Japanese cuisine, awesome. 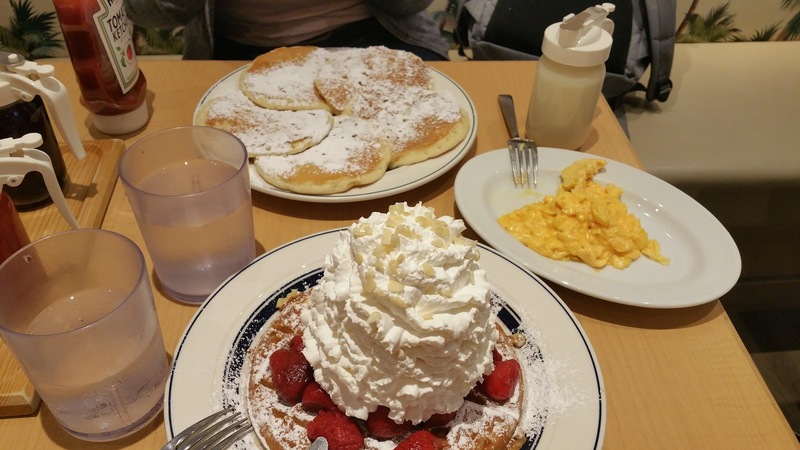 Japanese pancakes, awesome. 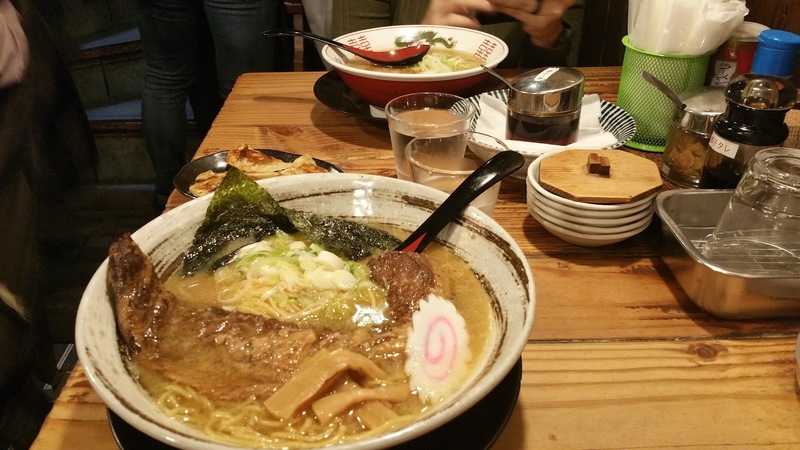 Japanese versions of western food, awesome. 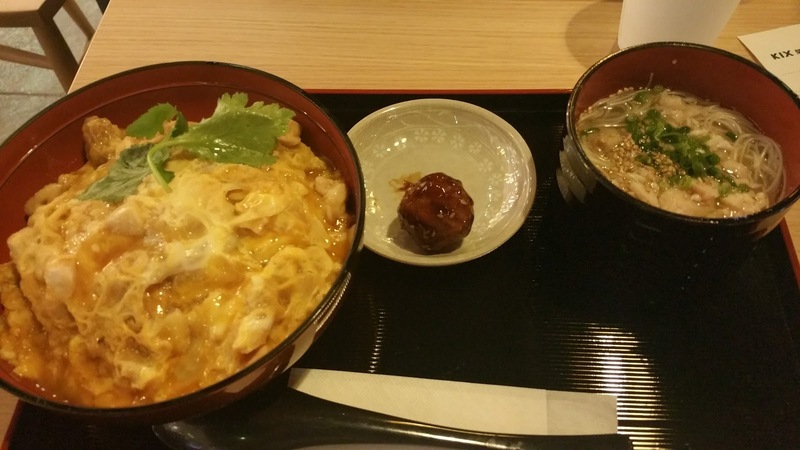 I didn’t have a bad meal in Osaka. 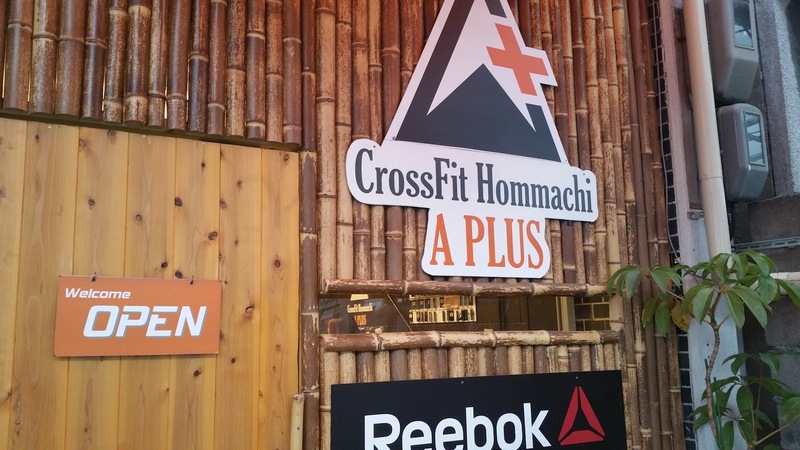 We checked out CrossFit Hommachi A+ and CrossFit Minami while in Osaka. 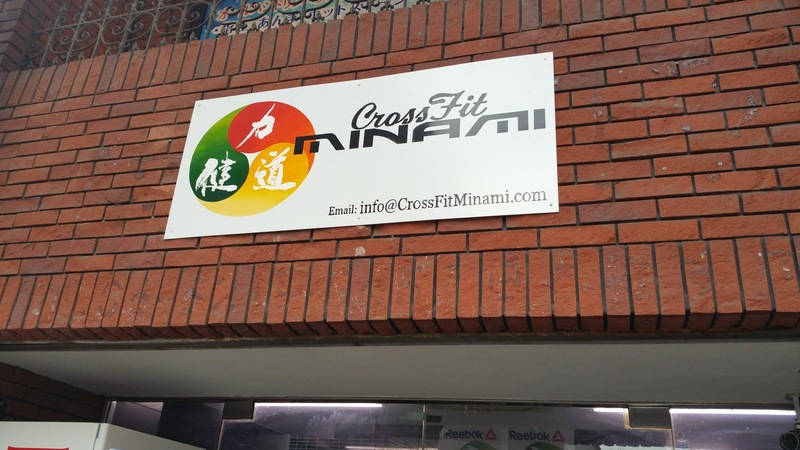 Unfortunately, we were not allowed to take pictures while inside A+ and CF Minami was closed for a private class. A+ has a few rules if you want to drop it. All tattoos must be covered or they will not let you workout. It’s a Japanese custom since tattoos are associated with the Yakuza (Japanese crime group/gang). Also, dropping weights are not allowed. The coach at CF Minami however said dropping weights is allowed in his gym. We didn’t get to drop in but we did purchase a few shirts. Iconoclasm was on my list of stores to visit in Nipponbashi Denden Town, the anime/toy district. 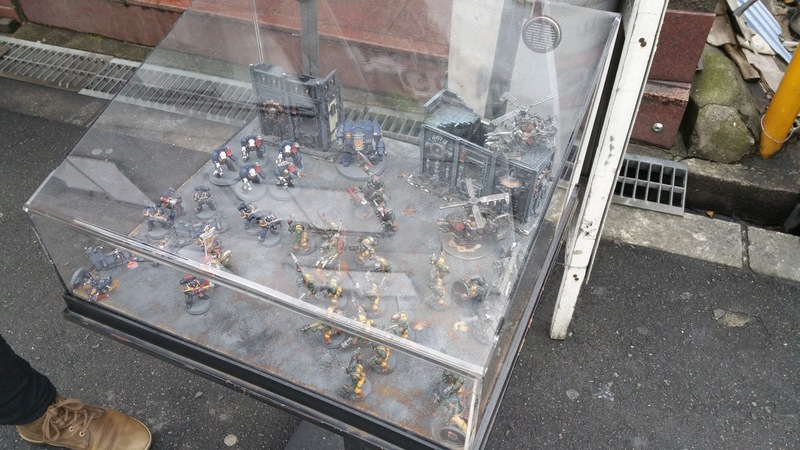 The front of the building has a small Warhammer 40k diorama which was a great eye catcher. 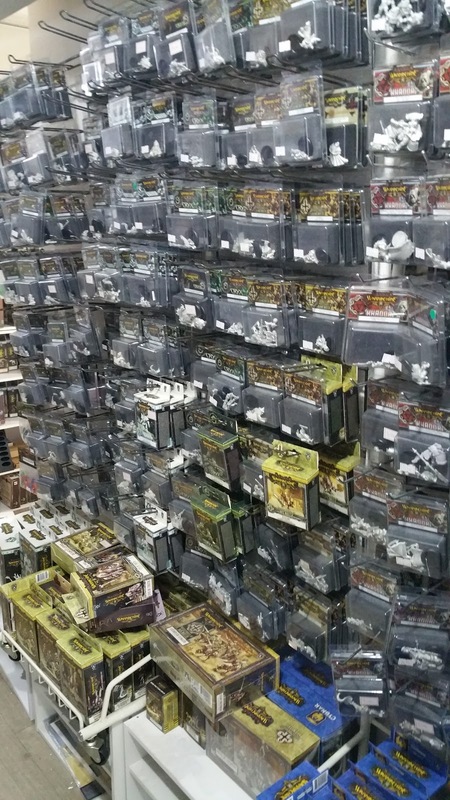 The shop is not large but it is packed full of wargaming stuff. The main games featured were Warhammer 40k and Warmachine/Hordes. My wife and I love visiting theme parks, especially American ones in foreign countries. We look for different foods in concession stands and if rides have changed. 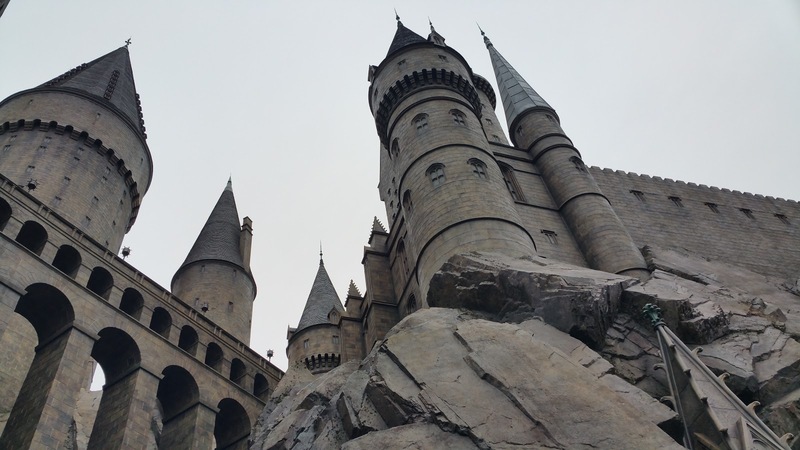 The main draw for us was the Wizarding World of Harry Potter. The lines were not too long and each ride was worth it. This was another great Japanese theme park experience. Nishinomaru Garden is located west of Osaka castle. Entrance into this garden is not free, we payed ¥350 per person. 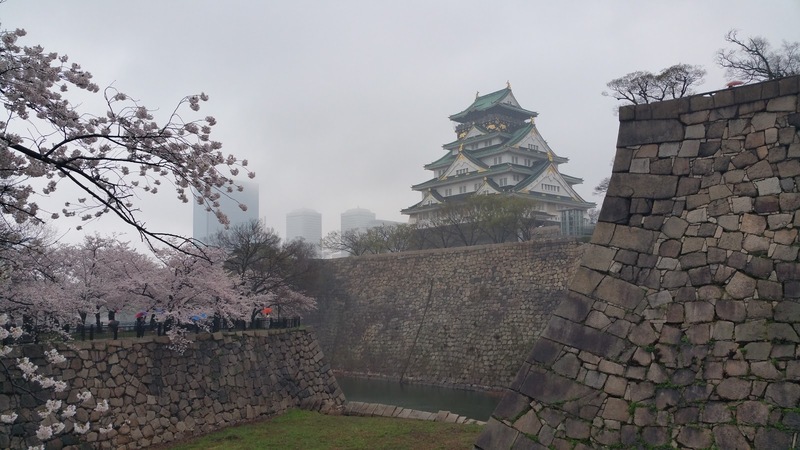 The garden has a large lawn, a large number of cherry blossom trees and great views of Osaka castle. We did not explore most of the north end of the garden but we did stay until evening. At night, the garden lights up with some spotlights on the cherry blossom trees and other lights lining the paths. 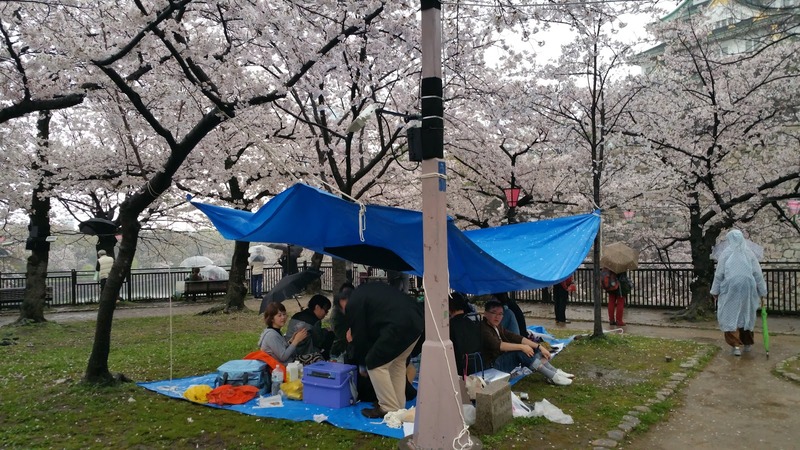 If you’re willing to pay the entrance fee, this is a great spot to hang out and enjoy the cherry blossoms. Japan is a great country to visit. The people are friendly and polite, the streets are clean and the food is delicious. Walking through the different alleys and busy streets, I noticed a difference between Osaka and Tokyo, the vibe. It’s not as fast paced and people are not rushing. Everyone is relaxed, laid back and enjoying life. 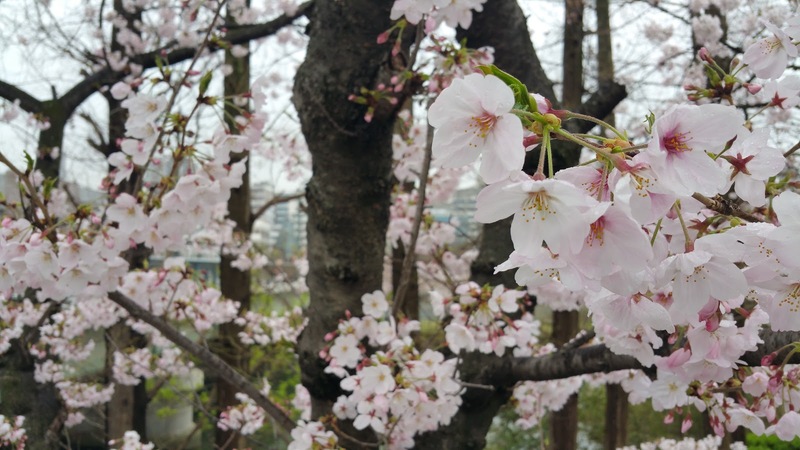 I can see the appeal of visiting during cherry blossom season. Enjoying the outdoors and appreciating nature is not something most of us do, it’s refreshing. 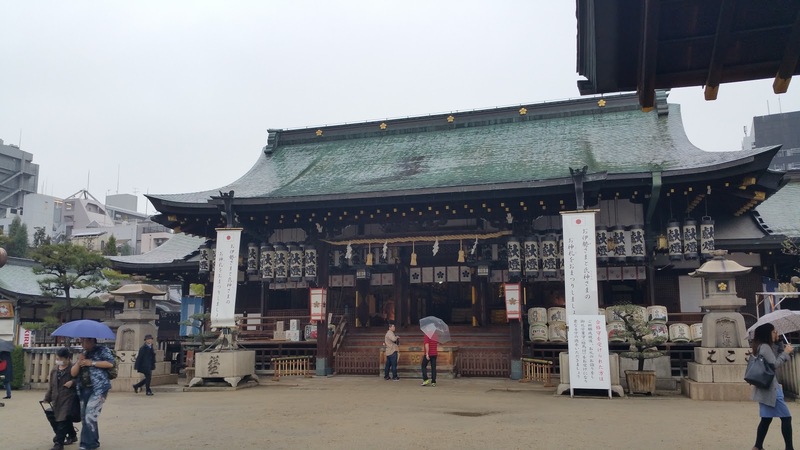 We did a lot more stuff in Nara and Kyoto but that’s for a different post. I was not able to list everything we did but we had a great time. We met up with a few friends and enjoyed the city together. I’m not sure where we are going to next, maybe the Philippines or Korea. Look out for the video.